Make safety a family affair, says Carol Wright, president and CEO of Jackson Energy Cooperative, McKee. To keep safety at the top of your mind, talk about it with your loved ones. Hold a monthly family safety inspection of your home. Water and electricity don’t mix, says Wright, who is also chair of the safety subcommittee of the Kentucky Association of Electric Cooperatives Board of Directors. Don’t build a pool near power lines, or even set up a kids pool near a line—keep them at least 15 feet away. Keep electric appliances away from sinks and bathtubs. Unplug. To avoid fire hazards, Wright says, don’t leave your smartphone and other electronic device chargers plugged in when they’re not in use. Stay away. 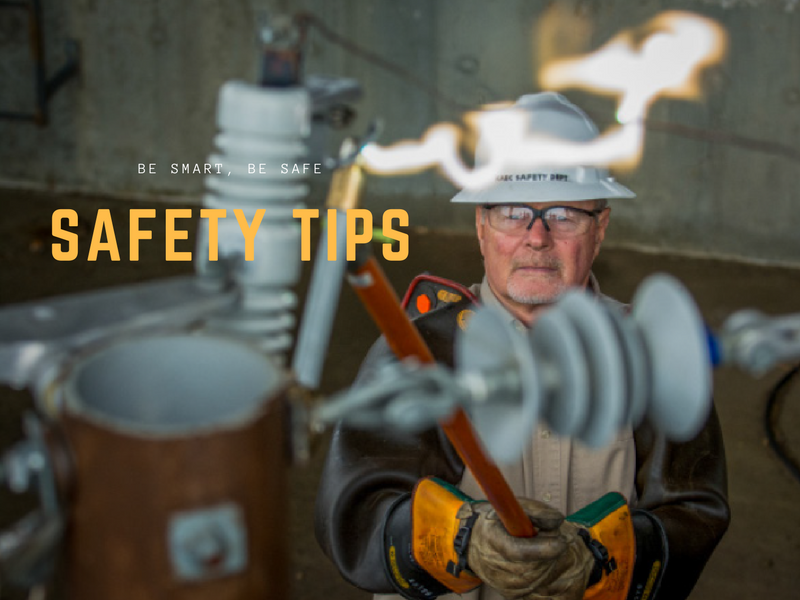 Don’t go near downed power lines, says Adam Shelton, safety, health, and environmental coordinator at West Kentucky Rural Electric Cooperative, Mayfield. Assume they are energized. Call the co-op or 911 immediately. Use chain saws safely, Shelton says. Don’t rush out after a storm to cut up downed trees or branches—there could be live power lines tangled in those limbs. Stay in the car. If you’re in an accident where a power line might have fallen on or near your vehicle, it could start a powerful electric circuit that could be completed when your foot touches the ground, Shelton says. Stay put and call for help. If there’s a fire or other danger and you have to leave the car, jump from the car and hop away, keeping your legs together—if the ground around the car is energized from the downed line, a different level of current between your feet could complete an electric circuit running through your body. Look up. Don’t plant a tree where it might grow up into a power line someday, says Paul Merrick, right-of-way manager at South Kentucky Rural Electric Cooperative, Somerset. Merrick says that when people work on outdoor projects, “they look down instead of looking up.” Before planting, know how tall a tree is likely to get. Plant any tree 15–45 feet from a power line, depending on the size of the line. Don’t do work near power lines or place outbuildings near power lines. Call your co-op for help if you have questions about planting near a power line. And don’t let children play in trees near power lines. Let the professionals do it, Merrick says. Don’t take down trees or trim branches near power lines. Crews at your local electric co-op know how to clear vegetation around lines. They have the training, experience, and the equipment to work successfully and safely, without hurting people or damaging property.